The Certificate in Theology and the Arts (CTA) provides firm grounding in the key theological loci and practices relevant to a lifetime’s engagement with the arts and the church, the university and beyond. 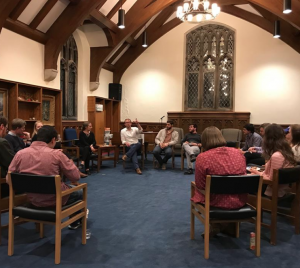 The CTA deepens students’ appreciation of the current shape of the arts-theology conversation and is available to Duke Divinity Students enrolled in the M.Div., M.T.S., and Th.M. programs. To complete the certificate, students take the core course, Introduction to Theology and the Arts, and complete two additional approved courses in theology and the arts. Click here to view full Certificate requirements. 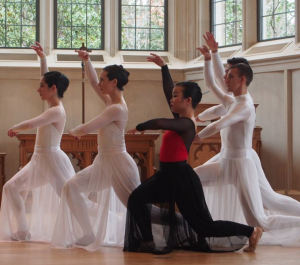 The CTA equips students to practice the integration of theology and the arts. Students complete a research or service-learning project in theology and the arts that supports their vocational interests. Cross-departmental collaboration with Duke Divinity School and the university is encouraged. DITA has also established partnerships with churches and organizations around the country and in Durham to offer field education experiences to M.Div. students in theology and the arts. This pioneering initiative grows out of and reflects DITA’s mission to be anchored and expressed in local congregations and communities. Students combine scholarship and practice with community and conversation by participating in bi-monthly CTA colloquies, informational opportunities to engage with their professors and their peers. Students have the opportunity to talk to the scholars they are reading and to experience first-hand the work of the artists they admire. 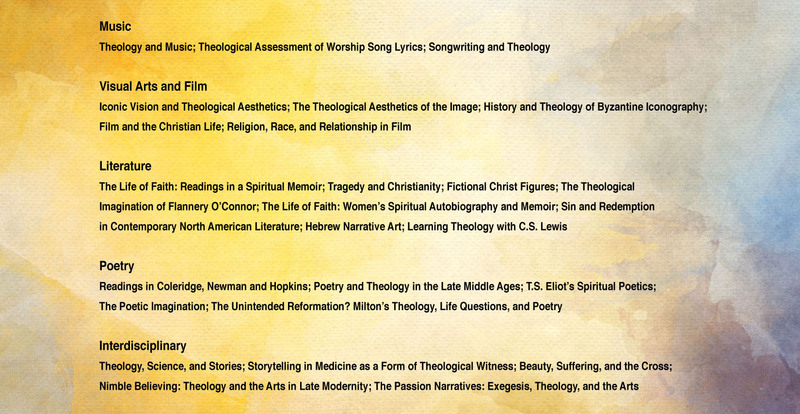 Our Distinguished Lecture Series in Theology and the Arts brings dynamic theologians and artists to Duke Divinity. Previous guest lecturers have included: Nicholas Wolterstorff, Robin Jensen, Robert Lundin, Malcolm Guite, Makoto Fujimura, Bruce Herman, David Lyle Jeffrey, Christine Bieber-Lake, and Natalie Carnes. In this way, students are immersed in a community actively engaged in the arts through DITA-sponsored performances, art installations, and other students. Check out the latest DITA events.